Train2Game students will be aware that community created content can provide a way into the games industry. Indeed, the Train2Game blog has previously reported that LittleBigPlanet developers Media Molecule often the best community level creators. Call of Duty: Modern Warfare 3 is likely to be the biggest game of the year, it’s a game that’s popular among Train2Game students, and may prove even more so as members of the Call of Duty Elite community will have the chance to create new game modes. “Community feedback is what drives most of our decision-making for post-launch support especially.” Infinity Ward’s Rob Bowling told NowGamer. 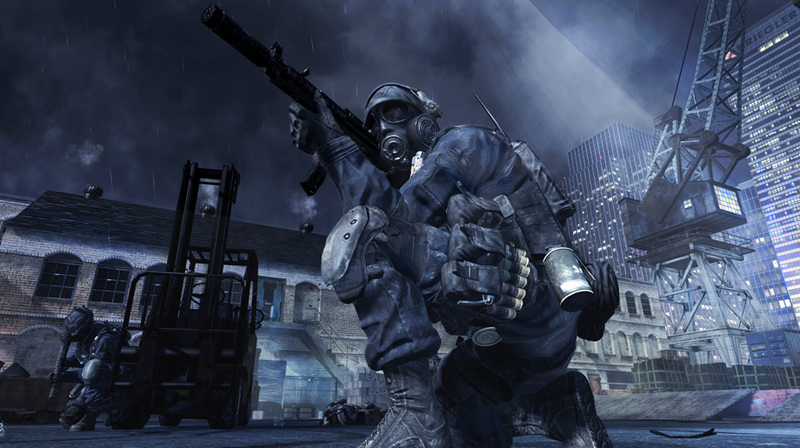 Modern Warfare 3 will feature customisable multiplayer settings, and it’s possible the most popular could end up as official game modes on official servers. “We’re going to be seeing the ones that are voted the highest, and we’ll see if we want to incorporate them into the public playlist,” he added. Activision say Call of Duty: Modern Warfare 3 will bring ‘the most advanced multiplayer ever’ when it’s released later this year. See the Modern Warfare 3 trailer here on the Train2Game blog. So Train2Game, what are your thoughts on the possibility of community created modes being added to the main game? Would it encourage you to pay for the Call of Duty elite service? Leave your comments here on the Train2Game blog, or on the Train2Game forum. This entry was posted in Formula 1, Games Artist and Animator, Games Designer, Games Developer, Games QA Tester, train 2 game, Train2Game and tagged Activision, Call of Duty, CoD, community creations, Modern Warfare 3, Modern Warfare 3 multiplayer, Train2Game by Train2Game Blogger Team. Bookmark the permalink. Authorised and Regulated by the Financial Conduct Authority for activities related to agreements regulated by the Consumer Credit Act 1974.